A muddled drama comedy, Rock The Kasbah cannot decide what it is and defaults to a series of abandoned plot fragments. Los Angeles-based washed-up talent producer Richie Lanz (Bill Murray) claims to have discovered Madonna, among many other wild tales. Now he is reduced to living in motel room, his only client the willing but hapless singer Ronnie (Zooey Deschanel), who also doubles as his assistant and suffers from unmanageable stagefright. Desperate and cashless Richie accepts an offer to take Ronnie on tour to war-torn Afghanistan, where the military money is flowing and US troops crave any entertainment. Once there, Richie and Ronnie are immediately exposed to the horrors of war. He tangles with military contractor Bombay Brian (Bruce Willis), rogue gun runners and local tribesmen, and creates a business alliance with American prostitute Merci (Kate Hudson). Richie then stumbles on the magical voice of local woman Salima (Leem Lubany) and immediately recognizes a star-in-waiting, but Afghanistan's culture may not be ready for a female entertainer. Directed by Barry Levinson and written by Mitch Glazer, Rock The Kasbah is loosely inspired by the true story of Setara Hussainzada, who appeared on Afghan Star, a local version of American Idol. The problem is that Salima is a non-entity in the film, appearing late and then barely featuring as a character other than as the stereotypical subjugated woman in a male-dominated culture. On the way to Salima's story Rock The Kasbah ambles along rather aimlessly, pinballing from Richie's career decline, to Ronnie's never-gonna-make-it stage antics, to encounters with fast and loose gun runners, then the mandatory working girl Merci padding her retirement account by servicing the troops, and plenty of predictable interactions with tribesmen in the desert. None of these sub-plots go anywhere, and when Salima finally enters the story, her narrative is just as tired, predictable and unsatisfying. There is an unseemly level of throw-everything-at-the-screen desperation to the script, peaking with Richie landing in the middle of an inter-tribal coup with a bewilderingly botched climax. Stymied in his search for any cohesion, Levinson rushes the ending and leaves all the threads loose, the film packing up and leaving all the characters wondering where to go next. Bill Murray delivers his now overly familiar older-man-out-of-place schtick, enough to rustle up some laughs and hold the center of the movie together but here buffeted by an overabundance of cultural clichés. 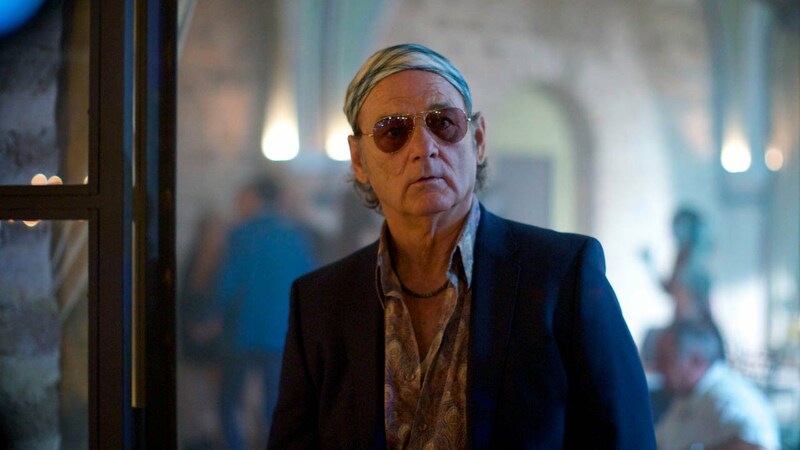 Rock The Kasbah rolls downhill on a wayward path to insignificance.